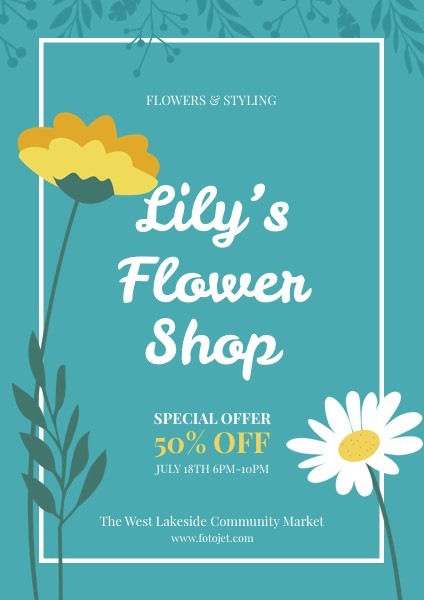 If you want to get more attention for your flower shop, trying some ways to promote it is a must. This beautiful promotional flyer template is a great fit for you. The flower images, artistic text fonts make it a perfect. The important discount information is in bright yellow color to make it stand out. Just use the text editor to add your shop details, name, address to make a finished design.